“You gonna eat that?” she said to the two men sitting there. They nodded no. Ok, maybe not. But if my email basket is any indication, people from the program network side of life are going into this week’s CTAM Summit laden with questions about this new video switching thing. As it turns out, that same topic was top-of-mind for the industry’s technical ranks, too, at their big conference last month — the annual Cable-Tec Expo, hosted by the Society of Cable Telecommunications Engineers. That’s a surprisingly big number. The first trials happened three years ago this month; “official” launches began last Spring. If nothing else, it shows how swiftly this switch — to the switch — is moving. The queries from the programming community go like this: Switching is a way to make room for us to launch our new, fledgling channels, right? How do operators decide what channels to put on the switch? Then what happens — what’s the step-by-step of putting in a video switch? Let’s take them one at a time. Switching is a way to make room for more digital stuff, yes. What it makes room for, though, is pretty much up to the person who owns the shelf. As for how operators pick what programs go in the switch: In general, “lightly viewed” programming is loaded up first. It’s not to remove channels, the reasoning goes, because viewers should be able to watch TV as they wish. But transmitting rarely watched channels isn’t ideal, either, because what nobody’s watching is using up space that could be used for something else. Time of day matters, too. If a channel contains programming that’s heavily viewed during the day, but not so viewed at night, or vice versa, that channel becomes a switching candidate at the moment lots of people tune off. Step one in switching video is the digital simulcast — taking the entire analog tier, and replicating it in digital. Step two: Learning utilization statistics, over time. Utilization statistics are a set of data, collected from a storage server, which shows what channels are selected, at what part of day, and in what serving groups. Then, switch loading begins. If an operator sets aside switching bandwidth equivalent to eight digital channels, and each of those channels can hold 10 standard definition video streams, then, the starting point is to tuck 80 channels into the switch. As more streams are moved, the bandwidth savings happen: 160 channels is a 2:1 loading, or, a 50% bandwidth savings. The trick is to load up the switch as much as possible, short of “blocking” — or, what telephone engineers refer to as “the Mother’s Day Factor.” Translation: Telephone traffic is typically highest on that day. Thus, telephone networks are architected based on known peak loading on Mother’s Day. And know that behind the scenes, it’s the video switch that decides who’s gonna eat that bandwidth. And how. And where. 2007 CTAM Summit, Part 2: What is Switched Digital Video? Ron Wolfe, Senior Product Marketing Manager of Big Band Networks, explains why marketers — at cable operators and program networks — can use switching to their advantage. Upshot: Bandwidth conservation, addressable advertising, and serving ethnic neighborhoods with native language programming are all within reach. Aired during the 2007 CTAM Summit to assure sound slumber. 2007 CTAM Summit, Part 1: What is Switched Digital Video? 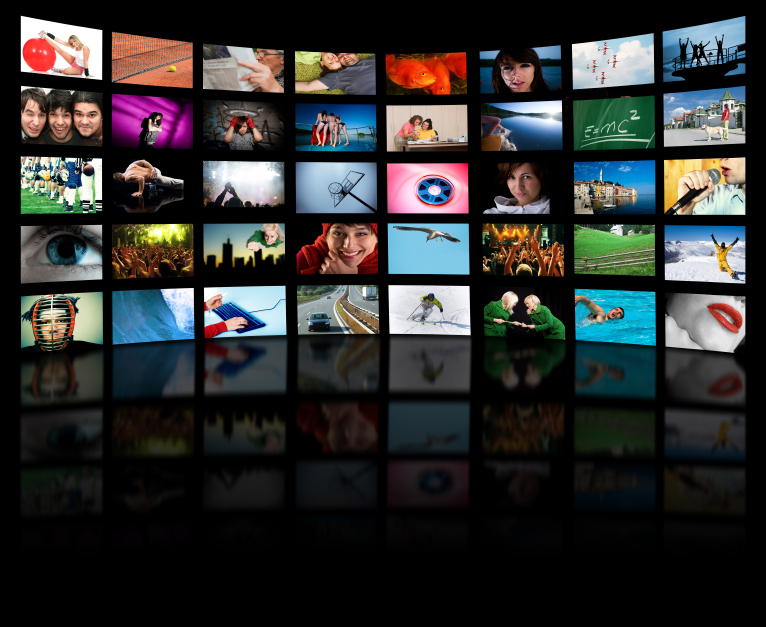 Ron Wolfe, Senior Product Marketing Manager of Big Band Networks, explains how switched digital video works, why it’s a good thing for the industry, and how many households the technology currently serves. Aired to attendees of the 2007 CTAM Summit. In case you missed it, HBO just plunked a massive milestone into the developing tale that is advanced video compression. At a breakfast panel on June 20, during the annual SCTE Cable-Tec Expo, HBO’s chief technology officer, Bob Zitter, said that the 26 channels of HDTV it announced on June 12 will only be compressed for transmission using MPEG-4. 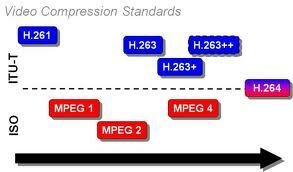 In other words, those channels won’t be sent in two formats — the existing MPEG-2, and the newer MPEG-4. This matters, in a big way, and on at least two levels. First: HBO makes it part of its business to lead with advanced technologies. Its moves tend to be emulated by other program networks. That means we can expect more and more networks to shift exclusively to MPEG-4 compression for their growing HD lineups. Second, and more troublesome, is that U.S. cable providers are not geared, at headends or in their aggregate deployed base of 35 million digital boxes, to handle an MPEG-4 stream. The HD channels cable operators are so gallantly streaming right now are nearly exclusively done in MPEG-2. AT&T, by contrast, can only do MPEG-4, because HDTV streams compressed with MPEG-2 are just too hefty for its pipes — especially in homes with more than one HDTV display. Ditto for France Telecom, with its 1 mil. IPTV customers. Again: It was not yet 8:00 in the morning. The immediate consensus, paraphrased, went like this: We’d like it better, HBO, if you’d simulcast your HD in MPEG-2 and MPEG-4, but we certainly understand your decision-making process. HD is fat. Satellite transmissions are expensive — north of $125,000 per month, per transponder. On the whole, and with the time that’s passed since the panel, it’s clear that the issue here is more about cost than technology. What happens now? Most operators are planning to start deploying boxes with MPEG-2/4 combo chips. That activity starts coincident with the new boxes dictated by the removable security deadline (as in the one that hit yesterday), and gains momentum in ’08. But for that hefty installed base of digital set-tops, operators will need a thing called a “transcoder,” to take that incoming MPEG-4 stream, and convert it into an MPEG-2 stream. Actually, they’ll need lots of them — one per multiplex of three or four HD channels. Estimates vary — widely — on how much that will cost. Some say its in the hundreds of dollars per channel; others say it’s around $2,500 per multiplex. The good news is, there’s no shortage of competition amongst the many companies making transcoders. The National Association of Broadcasters (NAB) show in April was crawling with them: Envivio, Modulus (since purchased by Motorola), Grass Valley Group, Tandberg, and Scientific-Atlanta, among others. Transcoders work by taking an incoming stream of video, decoding (unsquishing) it, and then re-encoding (re-squishing) it into the desired format. In other words, there’s no real way to make an MPEG-4 stream into an MPEG-2 stream, on the fly. HBO’s HDTV channels will be encoded (squished) to a rate of 8 Mbps, which was also news to the panel: Zitter had said at NAB that he’d make his encoding rate decision by the time of the SCTE Expo, and he made good on that promise. If nothing else, it’s a good time to be in the video squish business. This article originally appeared in the Technology section of Multichannel News.